Everyone has always wanted to say once in life ‘Hola Barcelona’, standing in the middle of the city and watch the world go by. 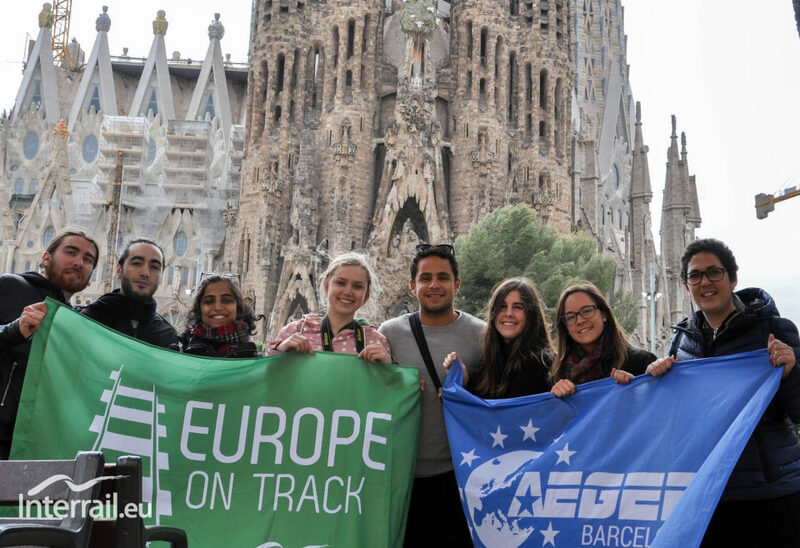 Team Purple got that incredible chance when we finally reached there for our sixth stop, to be hosted by AEGEE-Barcelona. Barcelona is a city of good proportions- of the sun, the slow and the fast life, of art, culture and commercials. It is not too big, but still pretty cosmopolitan for its size. There is everything you could need to live a full life, especially as a young person- there is the seaside for those who need the ocean air, bars and clubs that will last you the whole night and most definitely the morning after (haha), and lots of the famed Spanish passion. Opinions are strong and quick, words and tongues are fiery, and loyalty, the utmost value. Barcelona is a city of everything cool, but also strong identity. 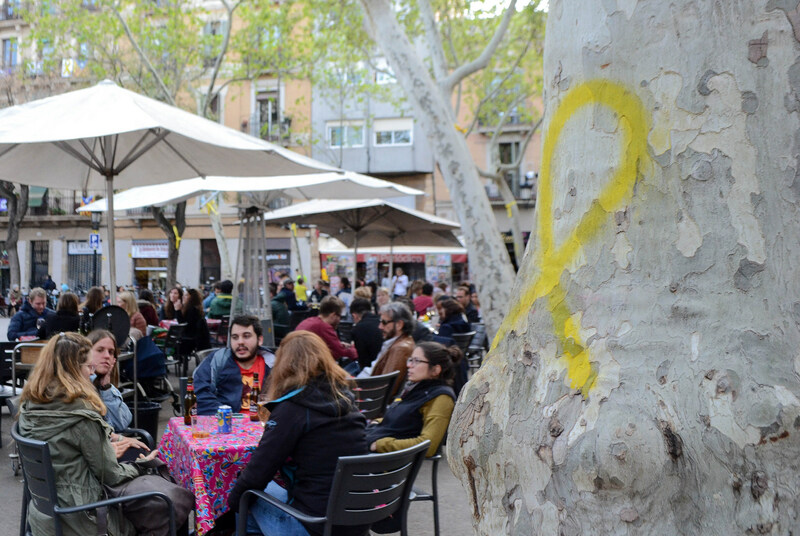 If the flags of Catalan independence everywhere were not enough to indicate it, consider this incident. I was at a Tabac shop, seeking to buy a postcard for my stamp that could work outside of Europe. A man came behind me and said something that I didn’t understand so I didn’t reply; he repeated to me in courteous English, ‘Good evening’. I replied very brightly to make up for my earlier behaviour, and said ‘Good evening!’ with even more vigour. When it came to my turn to buy the stamp, I couldn’t buy it as the shop didn’t accept card. The man behind offered to kindly buy it for me, and when I said to him ‘Muchas Gracias’, he gave me smile and taught me how to say ‘Moltes Gracies’- the Catalan for thank you. We gave a workshop on economic sustainability in the Faculty of Economics at the University of Barcelona, discussing how the economic pillar of sustainability tends to overshadow the others. For our second workshop, we discussed the impact of our actions and personal sustainability. For our last and third workshop, we held a structured debate about if individual actions can make an impact when it comes to overcoming the problem of climate change. The participants of the workshop went back and forth in debating whether individual actions can be held responsible, and finally was reached to the conclusion that while all of us were not equally responsible for the problem of climate change, all of us now must work towards its mitigation, and we all have common but differentiated responsibility. 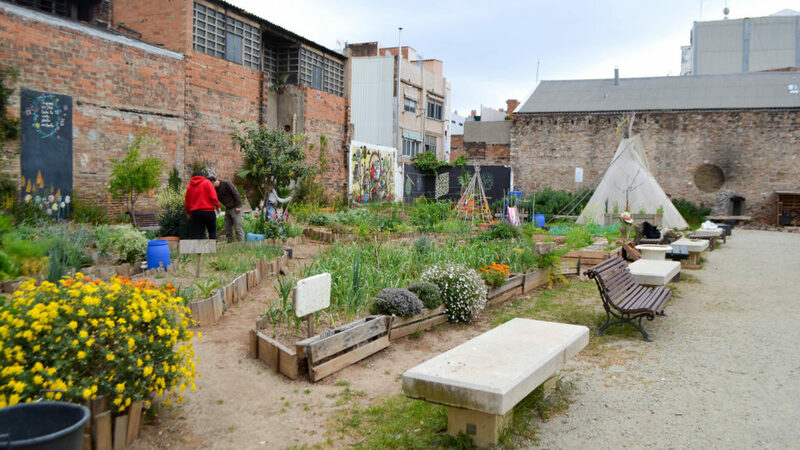 In a city like Barcelona where so much is going on all the time, and all land is so valuable, we visited an urban garden. Miguel, from Connecthort, took us around the urban farm which was granted to them by the City Council. They grow tomatoes, aubergines, various kinds of mints, peppers, strawberries, lettuce, carrots, turnips, chards, potatoes, peas, chives, garlic, carrots, aloe vera, and lemons among other things. Miguel is a computer engineer who also works on this- “It gives me life,” he says, as he emphasizes the need to touch that which is growing and real, rather than when everything is on a cloud. Sobremesa is the word that you have been looking for all your life. It is the time that is followed after dinner, in which physical activity is desired to be avoided, so diners sit around taking some Prosecco, coffee, tea, or cigar (pretty much anything that delays you getting up). Just like that, we would be happy to delay our time, not wanting to move from Barcelona- but in our case, it isn’t a choice and onwards we headed to Brussels! Read more about our last stop, Burgos, here!